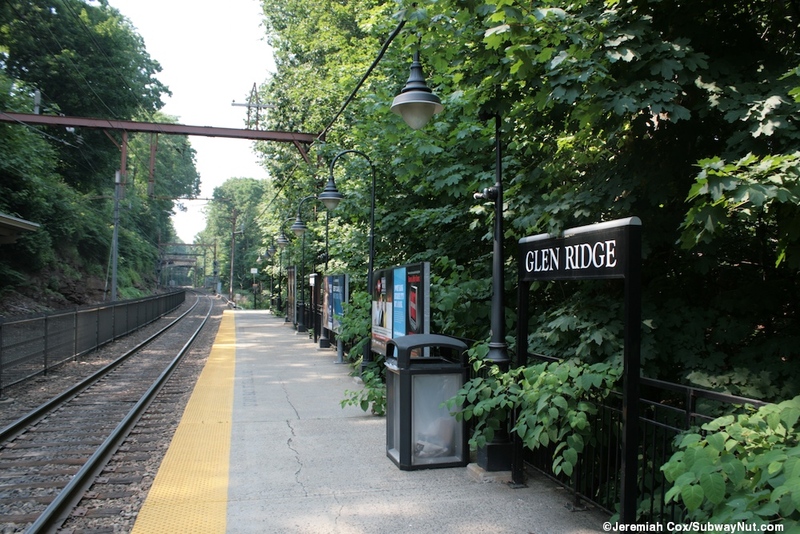 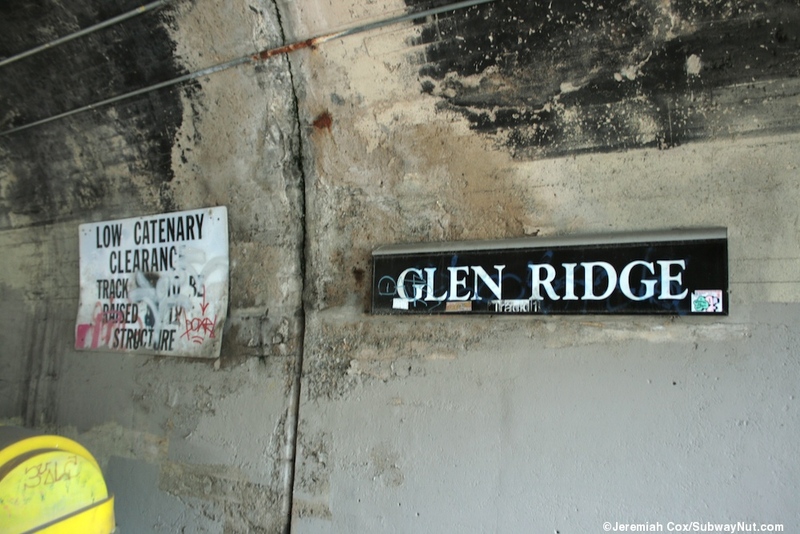 Glen Ridge is a historic station along the Montclair Branch whose current configuration was built in 1912 as part of a grade separation project. 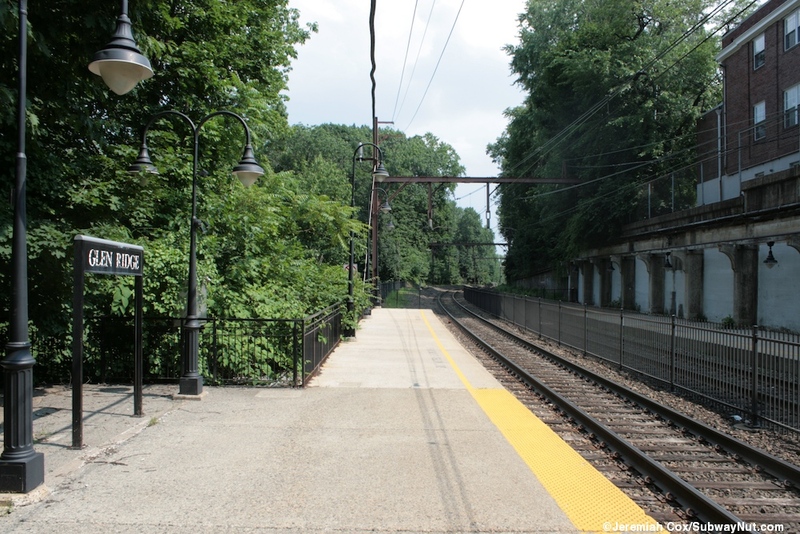 Electrification arrived in 1930 and this station was where Thomas Edison pulled the lever for the first electric train. 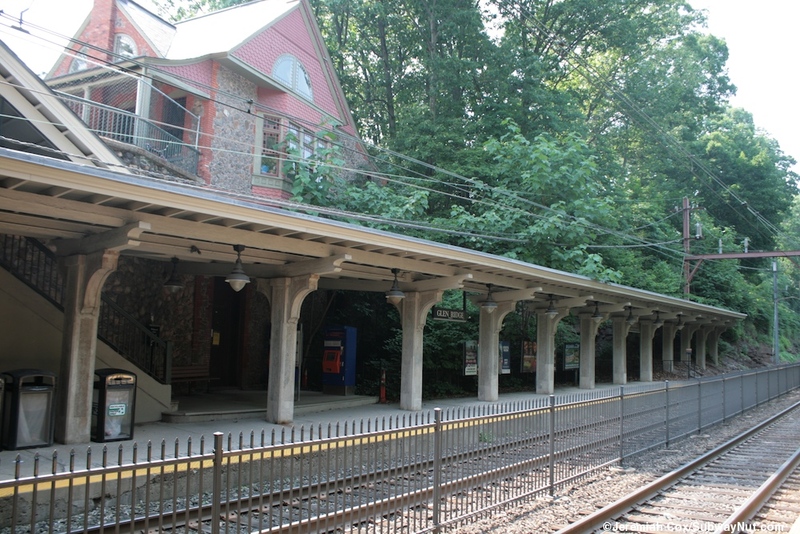 The station is located below street level along the Second River, surrounded by trees in a woodland setting. 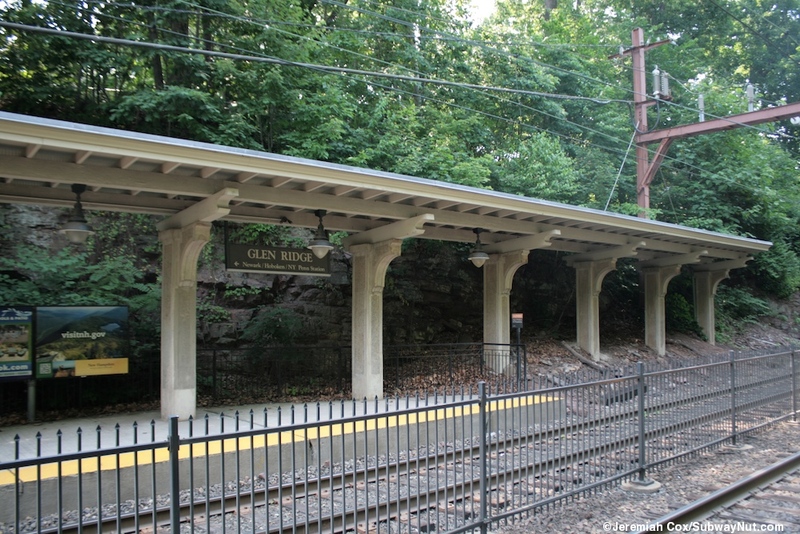 The station has two low-level side platforms that have concrete pillars holding up partially canopies along most of its length. 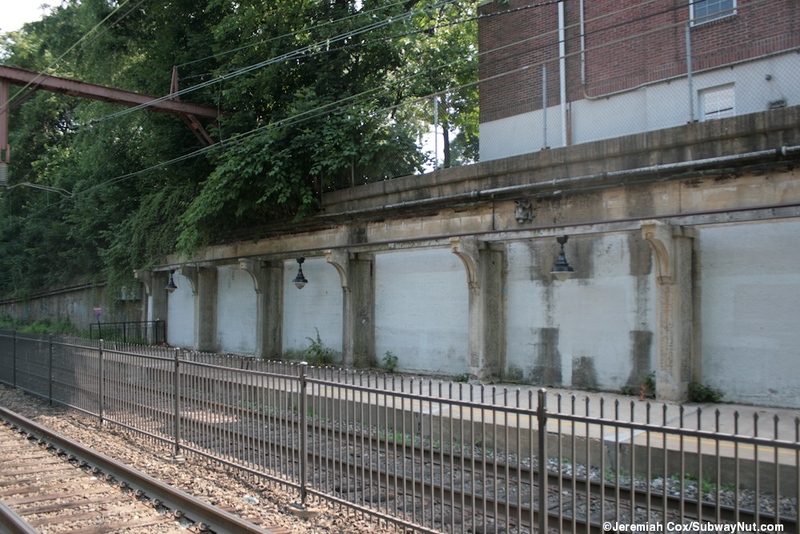 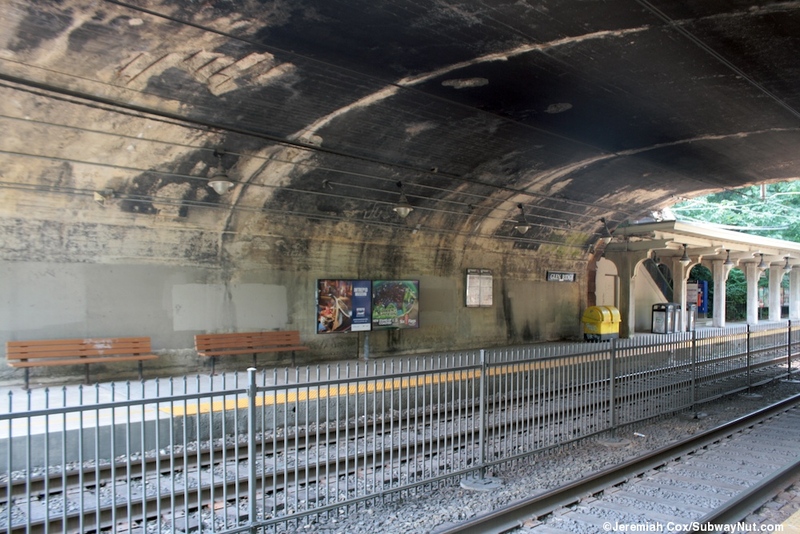 Portions of today's platforms are open to the elements while other a small portion has the abandoned remains of the historic concrete posts holding up the canopy. 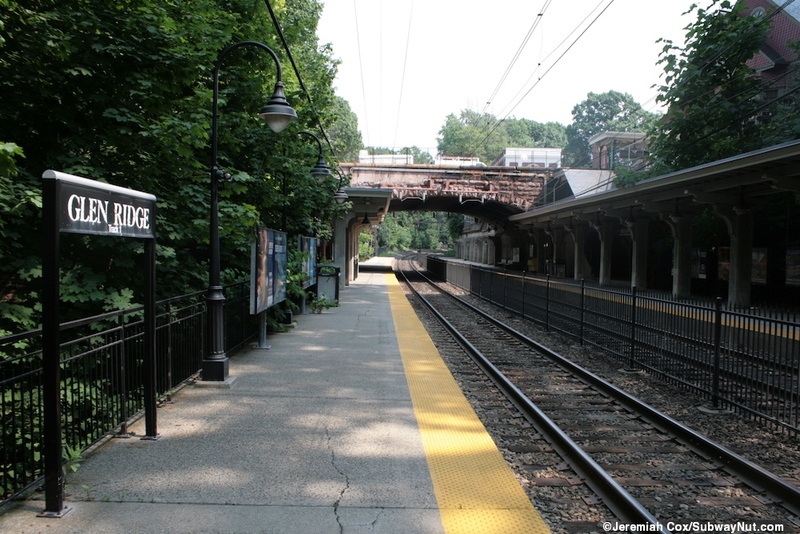 Along the Newark-bound platform are two TVMs for ticket purchases. 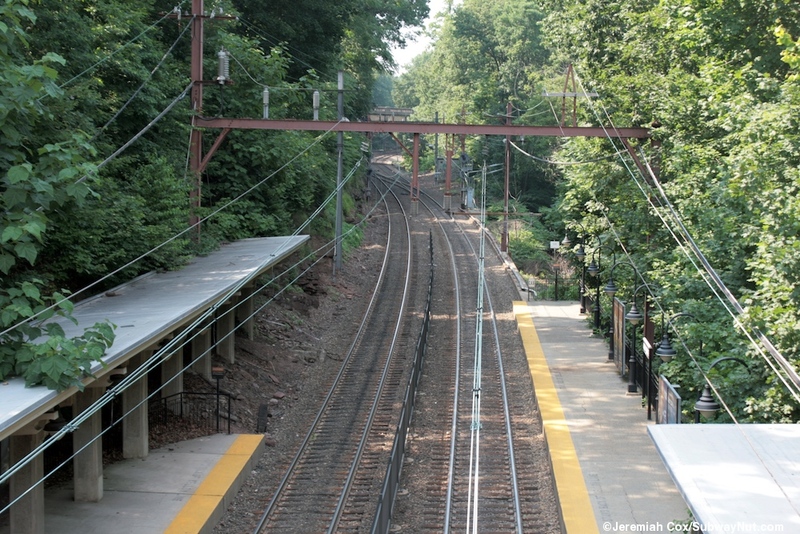 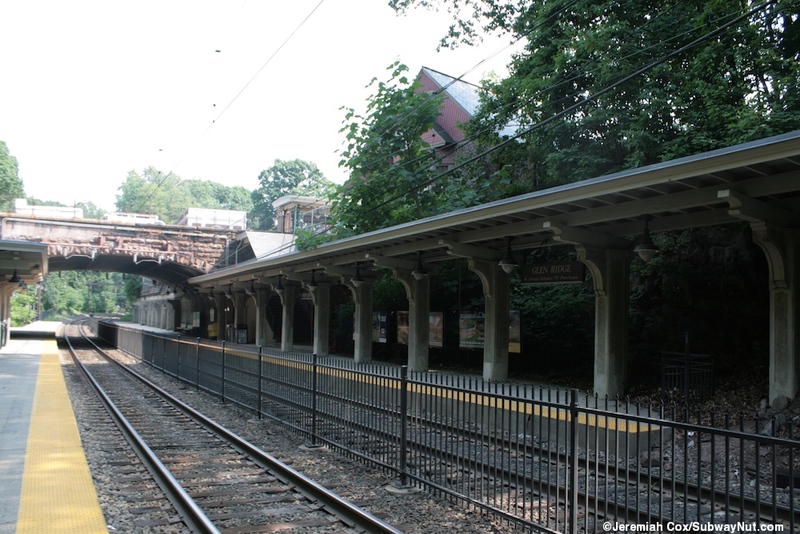 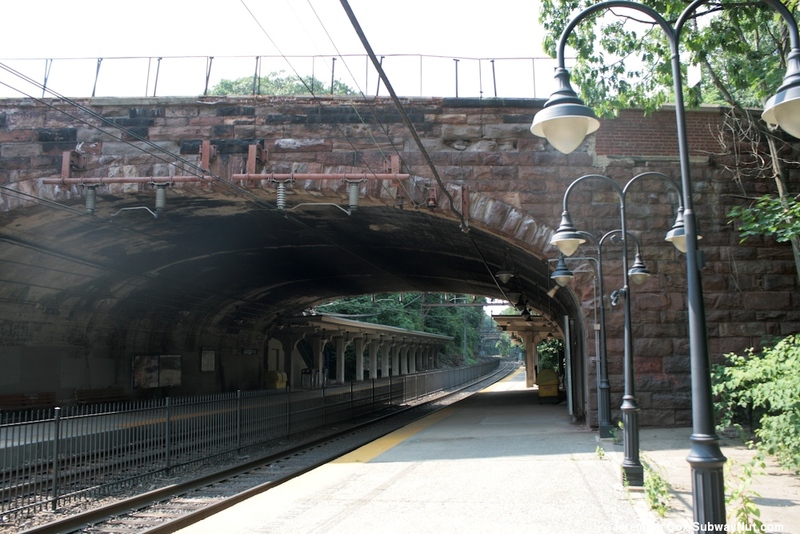 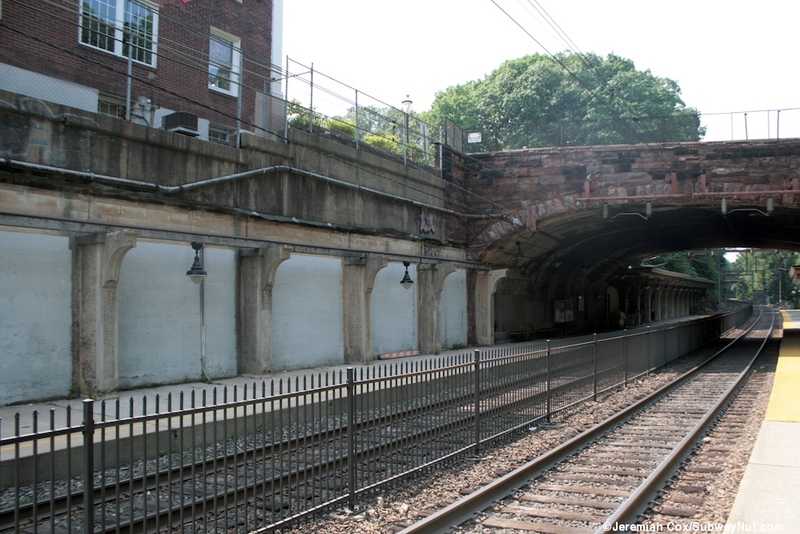 In the middle of the station Ridgewood Avenue crosses the tracks on a stone arched bridge. 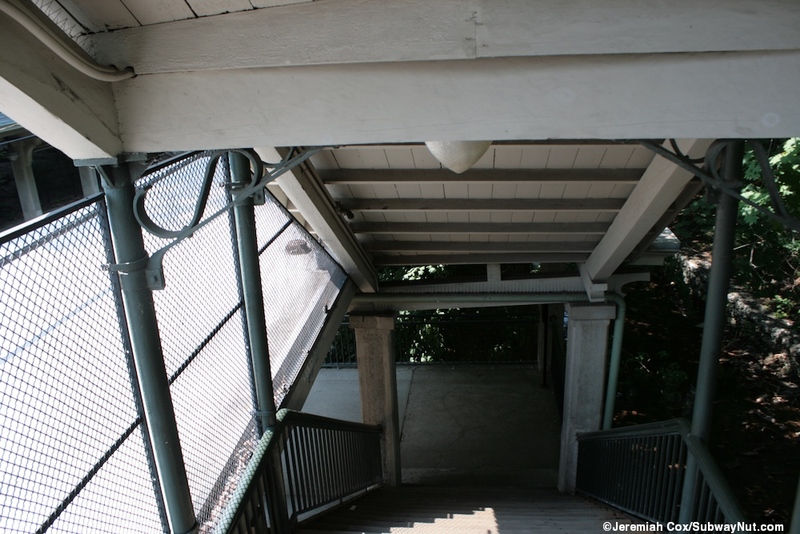 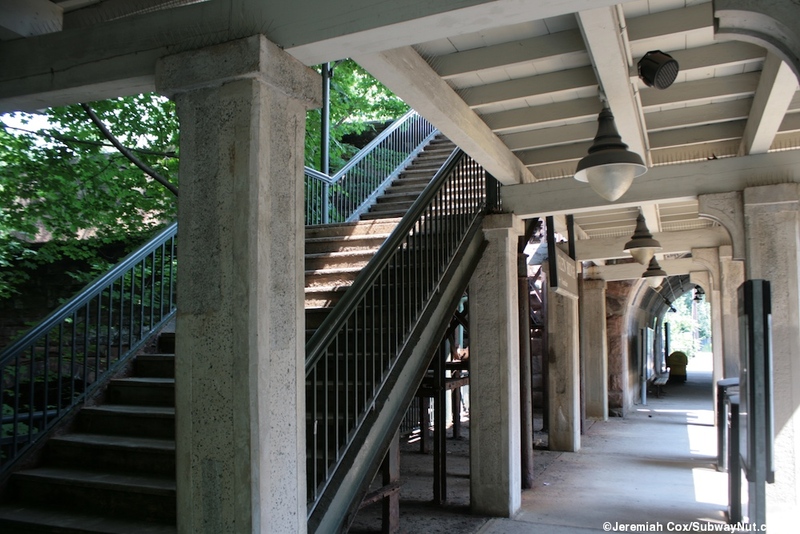 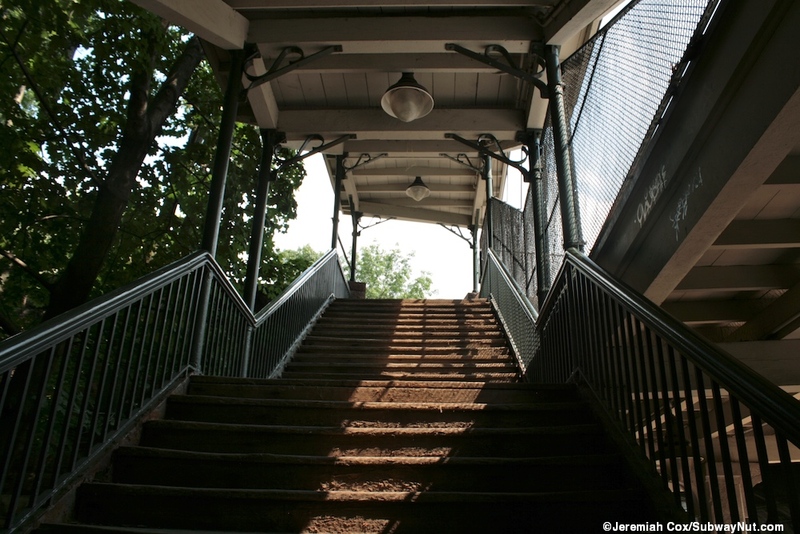 Along the north sidewalk of Ridgewood Avenue is a single staircase down to each platform. 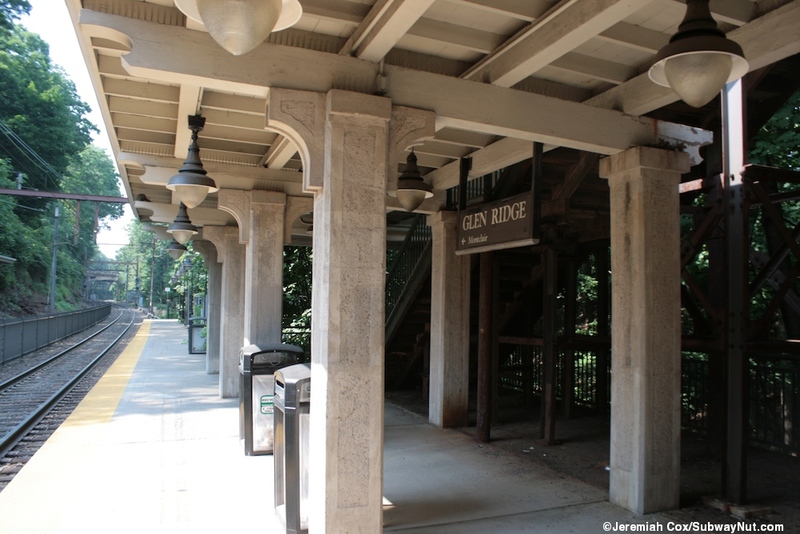 These staircases are both covered and the entrance to the Newark-bound platform has a gold on black lettered historic font Glen Ridge sign. 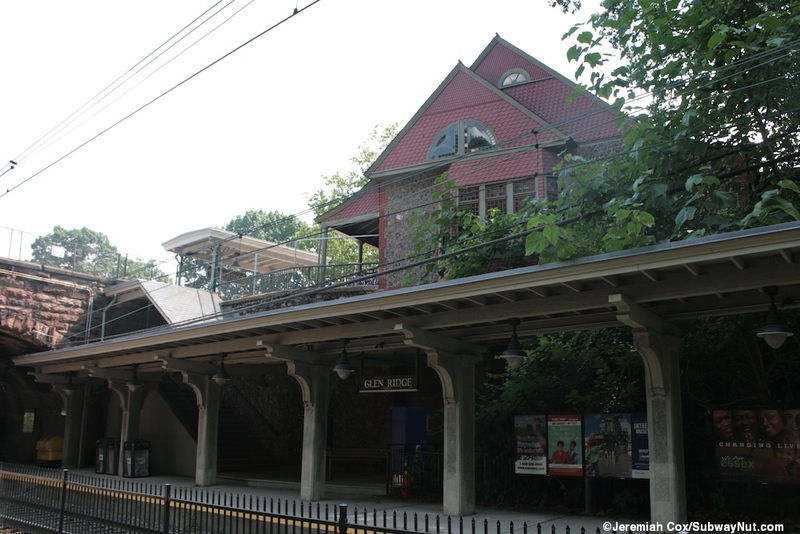 At street level behind the entrance is the 1887 Queen Anne-style brick and stone station house with a highly gabled roof and wrap-around porch. 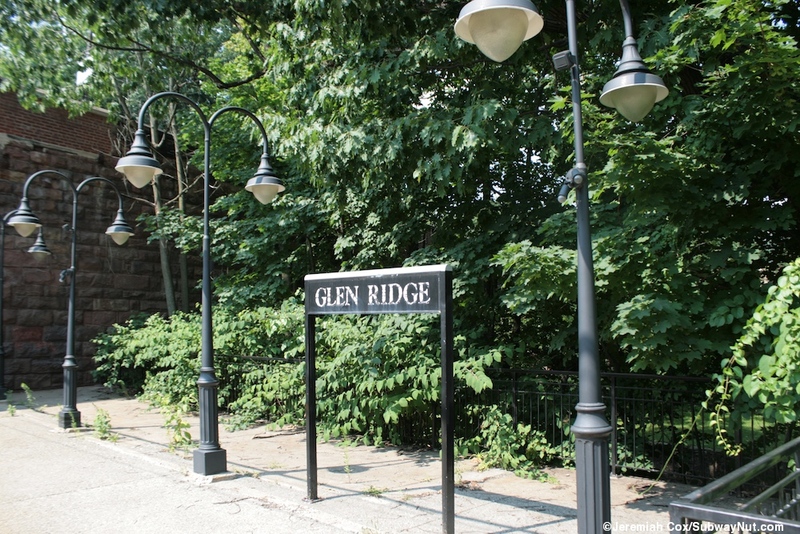 It is no longer in railroad use but is on the national and state registries of historic places and in 2001 was reopened as the Glen Ridge-Senior Community Center. 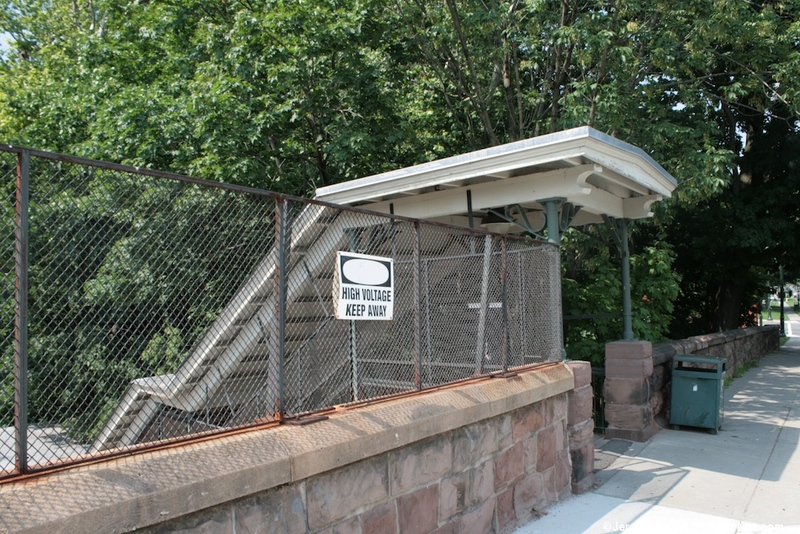 There is one more entrance at the southern end of the Montclair-bound platform. 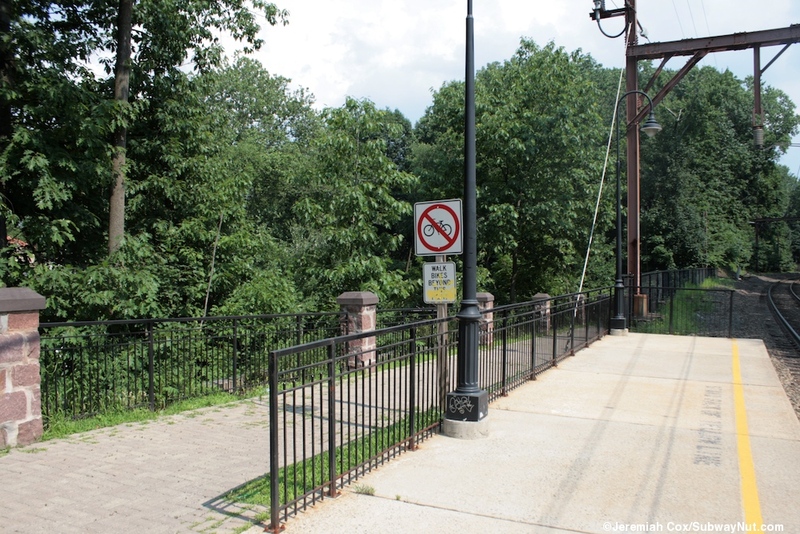 Here a pathway through the trees leads from Bloomfield Avenue, across a bridge and two the end of the train platform (with a big no bike riding sign).